Emma Edwards reveals the untold story behind the private death and public burial of W.B. Yeats; Neil Jordan talks to Caoimhe Fox about his career on page and screen; and Paul Clements recounts his journey along the Wild Atlantic Way. 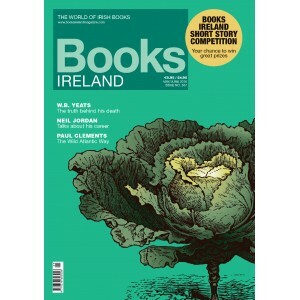 The second Books Ireland Short Story Competition is now open for entries. Cash prizes, writing course and publication to be won! Paula O’Hare delves into the latest and greatest from the Irish crime writing scene and Sue Leonard does the debut round-up in our ‘First-Timers’ feature. Editor Tony Canavan brings us ‘Behind the Screen’ looking at the Irish book which inspired the 1947 film ‘The Ghost and Mrs Muir’ and the popular Book Notes news section is packed with details on literary happenings this summer.